After having spent two weeks in November 2016 in Egypt, two Taizé brothers continued their journey with a three week visit to Lebanon in November and the beginning of December. 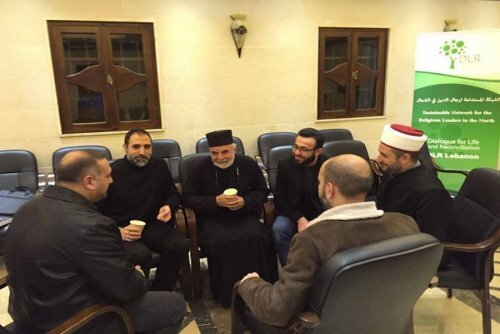 Among the many wonderful meetings they had during their stay in Lebanon, here a brother tells of a meeting in Tripoli, a town in northern Lebanon, with Muslim and Christian leaders in which he took part. "Tripoli is known in Lebanon as a town where there has been much violence over the past years between different religious groups. 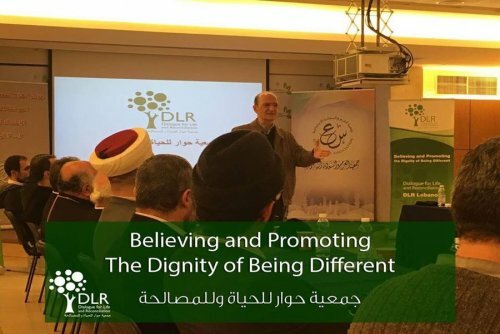 A few years ago, Ziad Fahed, an assistant professor at the University of Notre-Dame de Louaize (near to Beirut), started a small NGO called "Dialogue for Life and Reconciliation" (Facebook : DLRLebanon). Ziad invited me to take part in a meeting in Tripoli on the evening of November 28 last, organised by this NGO. When I arrived, I was first of all surprised to see a van parked at the entry to the building. A group of around ten armed soldiers were inside. Ziad was not at all surprised at this. He told me, "Each time we have a meeting like this evening, they are are there... ." When we went into the large hall where the meeting was being held, about thirty religious leaders were already present: imams, Sunni and Alawite sheiks from the town, as well as Maronite and Orthodox priests. The theme of the gathering that evening was "Supporting our young people in times of crisis." During the whole evening, I was very much struck by the atmosphere of profound and natural friendship between all these religious leaders. It was easy to see that they all knew each other well and that a frank friendship bound them together. Seeing my astonishment at such a heart-felt and kindly atmosphere among all the participants, my friend Ziad explained that the group "Dialogue for Life and Reconciliation" had already been meeting since February 2016, in other words, for nine months. 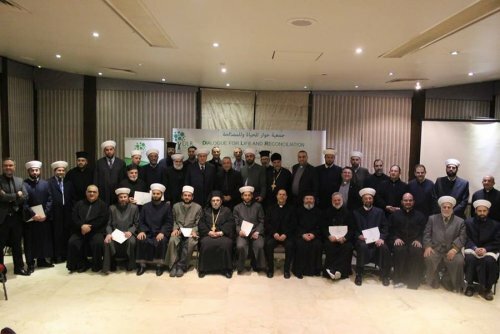 In collaboration with the main religious authorities of the different Christian and Muslim communities of northern Lebanon, the group launched the initiative to develop links between the different leaders of the region. In autumn 2016, the project came into being through the creation of a network in Tripoli itself. Thirty-five religious leaders from the different Muslim and Christian communities came together on this adventure. They agreed that during the coming 6 months, they would participate regularly in different reunions and seminars together with at least one meeting per month and three full weekends. The common goal was to discover the beauty of being at the same time different and being deeply linked to each other. For each monthly reunion, they chose a subject common to their different preoccupations to help them come closer together. That evening, the meeting took place in the hall of an Orthodox church. The next one will be on the premises of a mosque. Already the experience of the past months has shown that outside of the programmed meetings, a good number of these religious leaders have started to build up personal links in their daily life and in the practice of their ministry. All have lived and ministered in the town of Tripoli since many years, yet the majority have never had the occasion to get to know each other before! I saw on that evening with my own eyes how a group of Muslim and Christian religious leaders. somewhere in Lebanon, were already living a real sign of inter-religious dialogue. Little by little, the desire to understand each other better has grown in all simplicity, by going beyond their differences and by learning to appreciate each other mutually. Do they realise how through this they are opening new paths of peace and reconciliation in this Lebanon that they love so much? The next stage is already in view - putting in place gradually the means which will allow dialogue and quality inter-religious hospitality in the Tripoli region. This needs to be not just between religious leaders, but also for the ordinary daily life of each person, whatever her or his religious practice. For 2017, a project will be proposed in the field of education, starting with some schools and universities in Tripoli.